One 18 karat rose and white gold locket pendant. 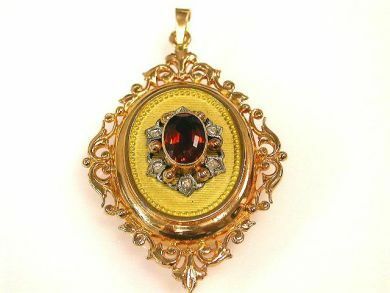 The scroll trim locket is set with one garnet (2.42 carats). Six rose cut diamonds (0.10 carats: SI clarity: H-I colour).